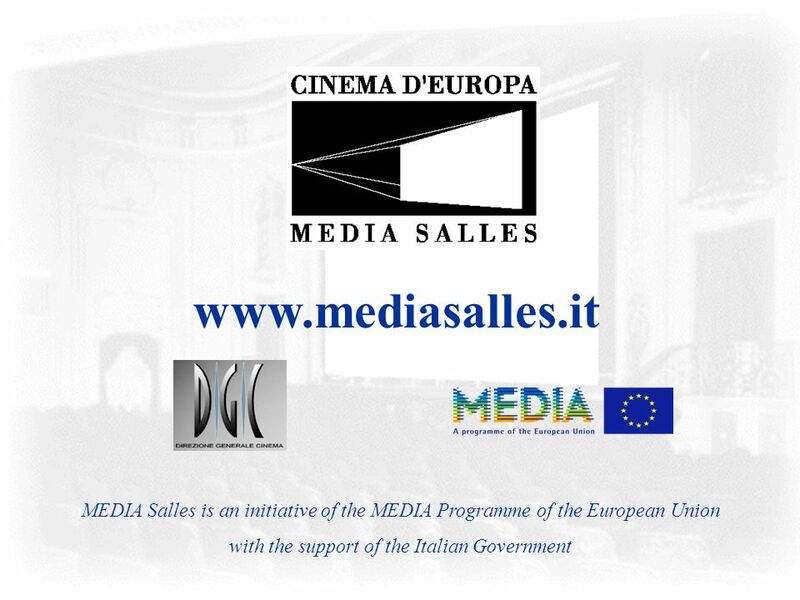 Milan, Italy (February 13, 2018) – For 2017 MEDIA Salles once again reports a positive global trend in the 36 countries where figures are already available: audiences have grown again, reaching a figure of 1,329.4 million with a 2.1% increase over the 1,302.1 in 2016. Nonetheless, different trends emerge in Western Europe and in Central and Eastern Europe and the Mediterranean Rim. The 18 western countries, with a total 881.9 million admissions, reveal a dip of 1.5% losing over 13 million spectators. On the contrary, in the other 18 territories growth continues, bringing them up to a total amount of 447.4 million tickets, compared to the 406.4 million in 2016, and rising by 10.1%. The dip that seems to emerge from the overall figures for Western Europe nevertheless conceals rather uneven trends in the different countries, with some markets that have obtained increases of up to 6% and others that have even recorded losses coming to over 10%. These differences are to be found on Western Europe’s 5 leading markets, too. Here, France, confirming its position as Western Europe’s top market, and despite losing around 4 million spectators (-1.8%), records its third best result since 1968. A decidedly larger dip is recorded in Italy where the MEDIA Salles estimates for screens active for at least 60 days a year, yield 98.5 million spectators, with an approximately 12% decrease, which can be attributed largely to the drop in the number of tickets sold by Italian films. According to Cinetel figures, their market share slid from 28.7% in 2016 to 18.3% in 2017. As to Spain, we can speak of a situation of basic stability, since the MEDIA Salles estimates point to 101.2 million spectators, pared down slightly with respect to the 101.8 million in 2016 (-0.6%). More positive results are to be seen in Germany, where the MEDIA Salles estimates settle at 123 million spectators, showing a 1.6% rise, and the United Kingdom, which gains over 2 million spectators (+1.4%), once again crossing the 170-million-ticket threshold. A plus sign is also recorded for the Netherlands (+5.3%), bordering on 36 million spectators and continuing the positive series of results that has led them to double their admissions since the mid-Nineties. Also on the rise are Portugal (+4.4%) and Ireland (+2.1%): both countries better thresholds they had not managed to cross since 2011. Portugal concludes well beyond the 15-million-spectator mark, Ireland beyond 16 million. Finland, too, records a positive trend, where estimates indicate a rise of around 3.6%. Instead, audiences diminish in Austria (-1.9%, according to the MEDIA Salles estimates), Sweden (-3%), Iceland (-3.4%) and Denmark (-3.8%). A sharper dip occurs in Norway, which fails to repeat the excellent 2016 result (13.1 million spectators), closing at approximately 11.8 million and dropping by 10.3%, and on the small market of Liechtenstein (-17.6%). In this part of Europe, which sees an overall growth rate of 10.1%, audiences are on the rise almost everywhere, though to differing extents. Amongst the territories that increased more than average in 2017, the Serbian Republic stands out (+27.7%), followed by the large market constituted by Turkey, whose audiences cross the 70-million threshold for the first time (71.2 million), with a 22.1% rise, also linked to the opening of new movie theatres. An exceptional growth rate is recorded for the Slovakian Republic (+18.1%). Closer-to-average increases are recorded for Lithuania (+10.7%) and Russia which, up by 9.8%, counts a total 213.6 million spectators. It thus becomes the Continent’s leading cinema market, overtaking France for the first time. Next comes Poland, growing by 8.7% and even bettering the exceptional result obtained in 2016. Also on the rise are Romania (around +7.4%) – its growth has been uninterrupted since 2007 -, Estonia (+6.7%), Croatia (+5.7%) and Hungary (+2.1%) touching on 15 million spectators, a result that had not been obtained since the early Two Thousands. More or less stable are Bulgaria (-0.2%) and Cyprus (+0.7%). Counter trends come instead from Slovenia (-1.4%), Latvia (-1.6%) and the Czech Republic (-2.5%). The latter country nonetheless remains beyond the flattering threshold of 15 million spectators gained in 2016. For the first time, the MEDIA Salles statistics also present the figures for Georgia, the Ukraine and Montenegro, all territories that grew from 2016 to 2017, by respectively 12.4%, 3.4% and 2.4%. An overall picture of the highest grossing domestic films in 2017 has also been added. In several countries these films take first or second place in the overall classifications, significantly contributing to the number of tickets sold. This, for example, is the case in Lithuania, Poland, Turkey and Finland. Another result to be highlighted is that of the Russian film “Posledniy Bogatyr”, ranking second in the Country – which was seen by over 7 million spectators. All the 2017 figures published in this press release should be considered provisional.